'Portrait Of A Veteran' is a Special Photo Project to Honor and Recognize Southern Minnesota and Northern Iowa Veterans Who Served Their Country. 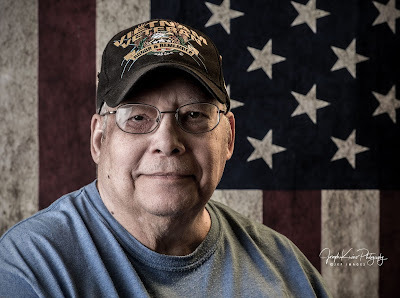 Randy Childers was 20 years-old when he enlisted in the U.S. Army in 1967. His first year in the military was spent in Denver, Colorado, training for his Military Occupational Specialty (MOS) in medical equipment repair. From the Rocky Mountains, Childers was shipped to the Army’s Landstuhl Field Hospital in Germany where he worked his same MOS. Childers recalls the base camp where the field hospital was located was quite large, “about the size of Truman, MN,” he said. “Because we were near the frontlines, we drew a lot of attention for the V.C. (Viet Cong). The base was subject to frequent attacks by enemy rockets and mortar fire,” he added. By June of 1970, Childers had completed his war duty and headed back to the States to be discharged. He returned to the area and in 1974 moved to Fairmont to start his career with 3M. He retired from 3M after 27 years of employment. 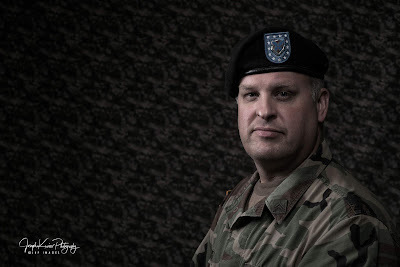 To get the needed financial help during college years at South Dakota State and University of Mankato, 1993 Fairmont High School graduate Cade Hartwig made the decision to join the U.S. Army National Guard. Hartwig did his basic training at Fort Benning, Georgia, then onto 13 weeks of training with track-mounted, Vietnam-era 4.2-inch mortars. Receiving benefits from the G.I. Bill wasn’t the only reason Hartwig became a soldier. His dad is a military veteran, having served in the U.S. Navy in submarine duty. “I was loving what I was doing,” Hartwig admitted. “After college was done in 2002, I re-enlisted in the Guard.” More training stateside included combat training with simulated weapons and ammo. Hartwig had been working as funeral director in Hutchinson, MN when his Guard unit got called up and deployed to Kosovo in the Spring of 2004 for two tours of duty with the HHC2/135 Infantry during the Global War on Terrorism. Hartwig also spent time at Fort Polk, Louisiana, helping train soldiers going to Afghanistan. Hartwig was appointed Mortuary Affairs NCO at the Kosovo Battalion Operations Center. “I also was the Battle NCO, communicating with combat squads in the field,” he said. By 2006, he eventually went back home and to the regular routine of work, summer guard training and drills. “I was offered to go back to Kosovo with the Guard, but we were so short-staffed at my regular job that I didn’t want to put my employer through that again,” Hartwig recalled. He moved to Fairmont in 2008 when he accepted a job with Lakeview Funeral Home. Hartwig is married with four children. He is also a volunteer firefighter with the City of Fairmont Fire Department. The Korean War had just ended when Richard Adams joined the Army in the fall of 1953. “They sent me to Fort Lewis for basic training then I shipped out,” he remembered. He headed to Japan where he spent more than a year in the country doing schooling and training along with his regular job working on heavy equipment for the U.S. Army. “I was a mechanic and helped repair ‘Cats,’ road graders and skidders,” he said. 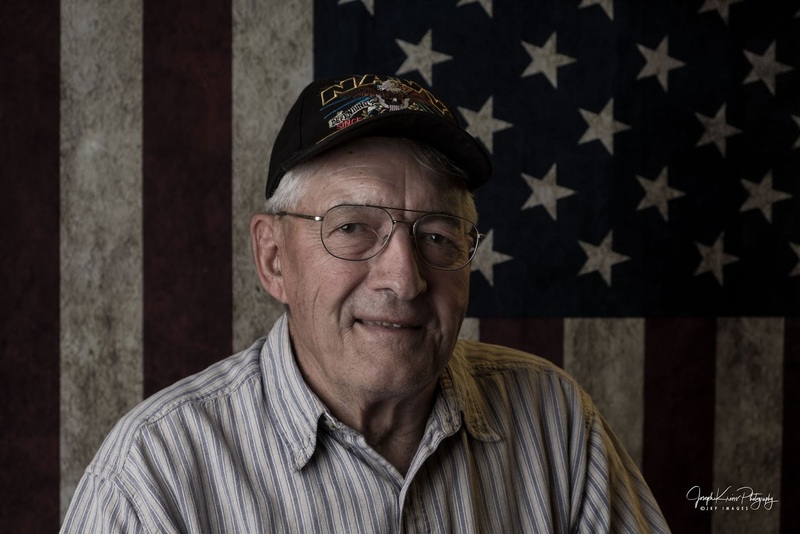 When his tour of duty with the Army was up in 1955, he got his discharge papers and headed back to Iowa. Adams was able to go back to college, supporting himself with odd jobs. “I worked for a church and taught school for a while,” he explained. “I also worked for a mobile home manufacturer, too.” He moved to Fairmont in 1966. One of life’s biggest achievements for Adams didn’t have to do with the military or traveling the world. He said it’s being a Boy Scout. “I’m a 40-year Scouter,” he said. 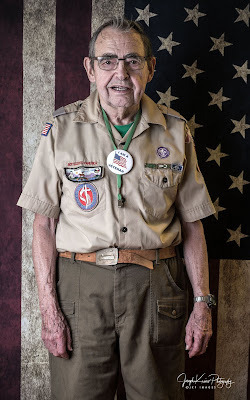 The Army veteran joined scouts in 1978 when his son joined the Cub Scouts. “I became a Scout Master and worked many years at Boy Scout camps,” Adams said. He still wears his Boy Scout uniform to special events. in 1934 in Bancroft, Iowa into a farming family. After high school, he joined the U.S. Naval Reserves. In 1956, the Korean War had been over for a few years, but Goche was called up by the Navy to do a tour of duty in the Pacific Theater. He was assigned to the USS Hornet aircraft carrier and flew missions as a radar man aboard a Navy AD5W Skyraider three-seat single engine aircraft with “early warning” radar installed. After about two years of duty in the Pacific, his tour was up. Goche said the Navy wanted him to head to Vietnam as a gunner on a helicopter. “My wife Mary said she didn’t want any part of that for me,” he said. I've been a photographer since before high school and have had a camera in my hand at one time or another professionally for the past 35 years. I'm currently establishing freelance accounts in the Midwest. I am available for special events, action adventure sports, and Agriculture and farming news and feature coverage, as well as non-traditional portraiture, specializing in athletes, artists and musicians. I also specialize in railroad and industrial-type photography. Please visit my website. www.josephkreissphotography.com. ALL IMAGES INCLUDED IN THIS BLOG ARE COPYRIGHT 2015 JOSEPH KREISS PHOTOGRAPHY. ANY USE WITHOUT EXPRESSED PERMISSION IS PROHIBITED!